Conditions were so nasty at the Hungaroring yesterday that 11 drivers of the 22-car Formula One Hungarian Grand Prix field set qualifying times slower than 107% the time of Rosberg’s leading 1:33.302 lap, reports Racer. 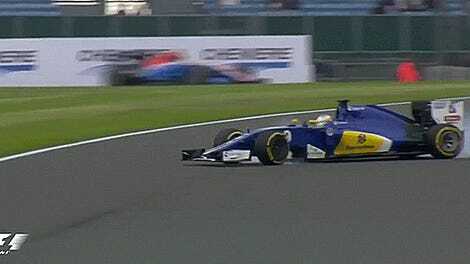 Under F1's 107% rule, anyone who qualifies that slowly gets pulled from the race. Needless to say, Formula One didn’t opt to enforce that one for this race. In case you missed it, it was very, very wet. The highlight reel from the first qualifying session feels more like a lowlight reel due to the hydroplaning, crashes and delays. Q1 was interrupted by four red flags for dangerously wet conditions after a 20 minute rain delay. Conditions improved drastically by the end of qualifying, but the stop-and-start nature of Q1 meant that not everyone got a clear lap in during the session. This caught 11 drivers out of the 107% rule: Daniel Ricciardo, Max Verstappen, Nico Hulkenberg, Valtteri Bottas, Sergio Perez, Jolyon Palmer, Felipe Massa, Kevin Magnussen, Marcus Ericsson, Pascal Wehrlein and Rio Haryanto. During Q1, any driver whose best qualifying lap exceeds 107% of the fastest time set during that session, or who fails to set a time, will not be allowed to take part in the race. Under exceptional circumstances however, which may include setting a suitable lap time in a free practice session, the stewards may permit the car to start the race. Any driver accepted in this manner will be placed at the back of the starting grid after any other penalties have been applied. Should there be more than one driver accepted in this manner they will be arranged on the grid in the order they were classified in P3. 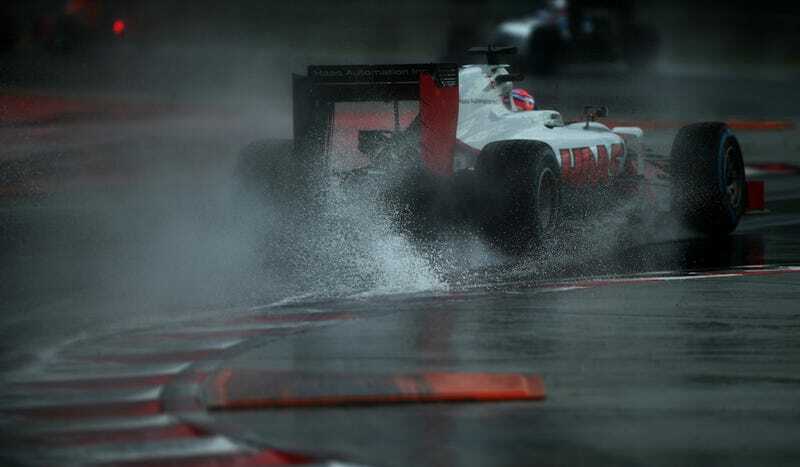 However, F1 officials deemed that Article 35.2—which just outlines how qualifying should normally work—should take precedence because so many drivers were caught out by the rain, per Racer. This was especially lucky for Red Bull drivers Daniel Ricciardo and Max Verstappen, who qualified outside of the 107% rule in Q1, but went on to qualify third and fourth in Q3, respectively. After imposing the world’s most asinine team radio ban, it’s refreshing to see common sense applied in F1. I don’t think anyone wanted to see the grid set by a technicality on the rules. Do this more often, F1.